I didn’t want to call this post just Valentine’s Day, partly because we tried to celebrate it differently (does that surprise you? ), but also because it didn’t really happen on February 14. This story is from Thursday, but in elementary school world, it was the last day of school before Valentine’s Day so alas that’s what we celebrated. Ok. I’ll move on. Since these are big, “chewy” questions, we didn’t really answer them, but we did think about them as we went through the day, and referred to them at various times, as well. Our first job of the day was to read a book together, which was about a dragon who wrote Valentines for all of the people she loved. It was an ABC book, and while we didn’t do anything with all of the letters of the alphabet, we did take some time to tell the people we care about how we felt about them (remember our questions?). 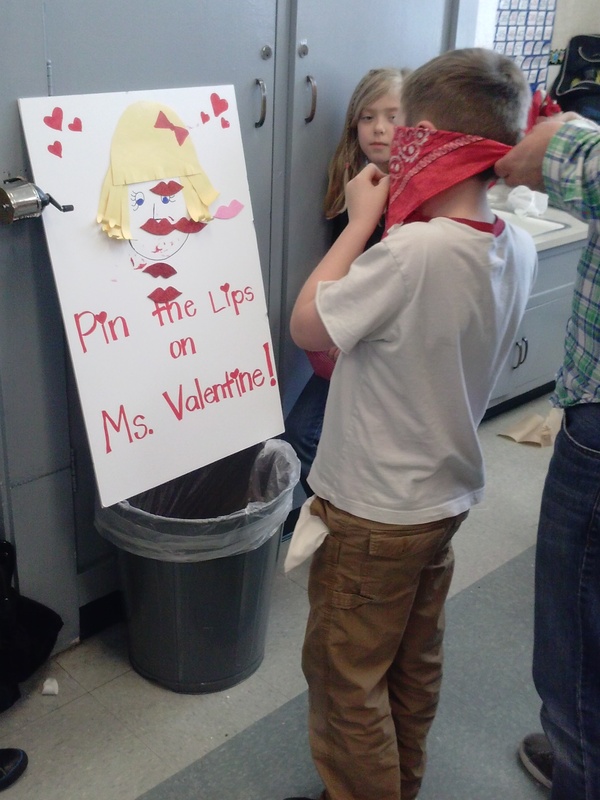 This was one of those areas where I wanted to be really purposeful with Valentine traditions, rather than “cutesy” or just fun. Last year we did a pretty cool Makerspace situation, and while it wasn’t a real Makerspace since I gave them their purpose, they were able to create and try and discover and explore, which was great. This time I wanted them to be able to both give love and get some back, so we decorated our Valentine bags with words. These were not “have-tos,” but I wanted to give them some place to start so that we didn’t end up with 20 different “I’m glad you’re my friend”s. I wish I had taken a picture of each one, to document how sweet their words were to each other, but I didn’t. I only have ones of how great they look all lined up in the hall. That is where they were as we delivered Valentine’s cards to our friends. Later on in the day we had a party. Mrs. Raeber, along with many other parents (and grandparents!) came to help us have a fun time at the end of our day. We had a snack, played a game, read some winter/Valentine’s Day books and make a keychain. What a perfect collection of fun, low-key things to do! These parents are super good at giving us lovely things! Mrs. Mintzlaff led a “Minute-to-Win-It” game where we had to stack hearts. Ms. Ross helped us make heart keychains with beads. Look at all of those books! Ella Marie’s grandpa came all the way from Minnesota! Mrs. Raeber shares popcorn at the kitchen table. This special day brought another special reason to celebrate in Rm. 202! Thanks to Ms. Ross (Millie’s mom) for coordinating and for the others who came to help us have so much fun! We even got to meet Evan’s grandparents! Check out some pictures from our party! I saved a couple more to highlight on their own…. Ms. Ross came prepared with some Valentine stories to share at the end while we were waiting for dismissal. 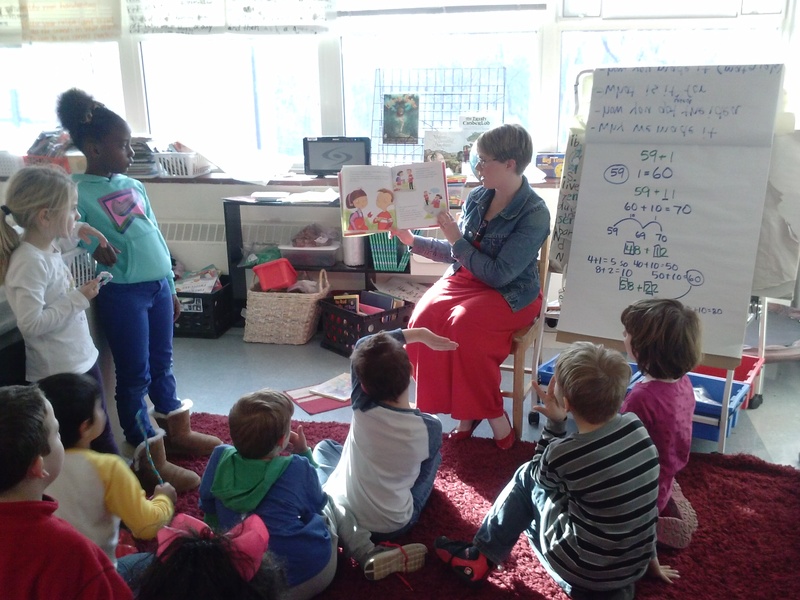 Amelia Bedelia is a great choice for Valentines’ Day! Ok, technically these pics have nothing to do with Rm. 202, but they were cute and fun to share. Plus I kinda like the kid in the Heartbreaker shirt…. I hope it’s not too late to share pictures from our Winter Party! I don’t have many, but they’re too cute to share. Thanks to Mrs. Fitzhenry and her many helpers for making it a super duper fun way to spend our last afternoon together before a long (and well deserved, I’d say!) Winter Break. You can tell by the smiles that Rm. 202 friends agreed! 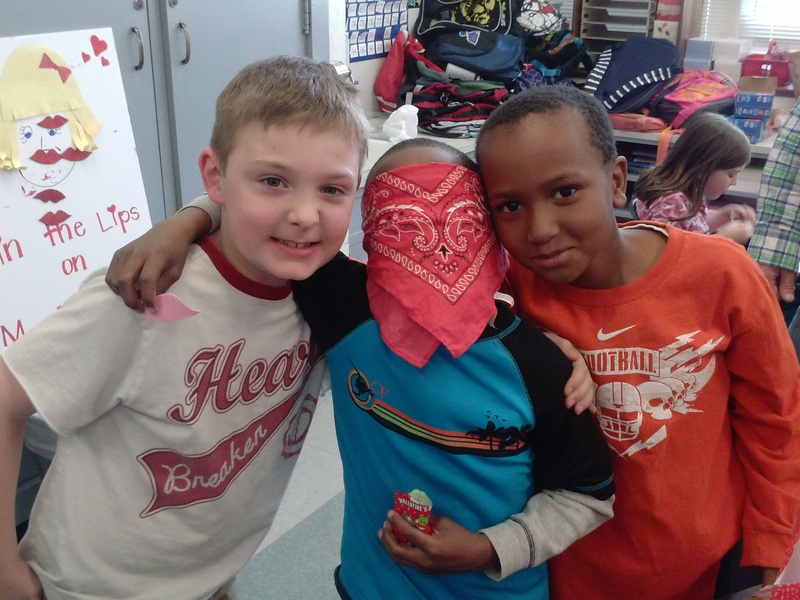 What fun we had at our Valentine’s Day party on Tuesday! The parents in charge of this party did such an amazing job putting together many great choices for us. Each classroom had a different activity, and kiddos were allowed to participate in whichever they wanted. The food was amazing, with the theme of “I’m So FONDUE of You.” Cute, right? Here are a few pics of the fun!